Hey gang, Valkor here. 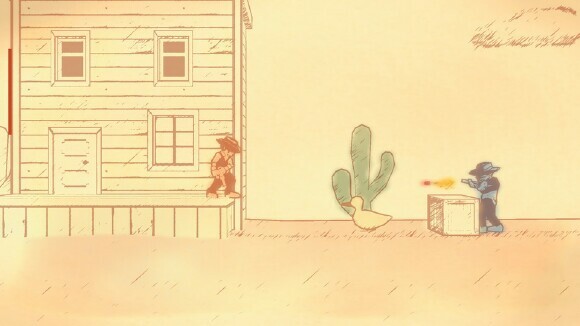 And we’re taking GameView to the wild, wild west with a little indie nugget from the folks at Horberg Productions called “Gunman Clive” for the Nintendo 3DS. I happen to come across it while perusing the eShop and since the price was right, I thought I would invest. And as it just so happens, I really enjoyed my time with the title eventhough the journey was a short one. 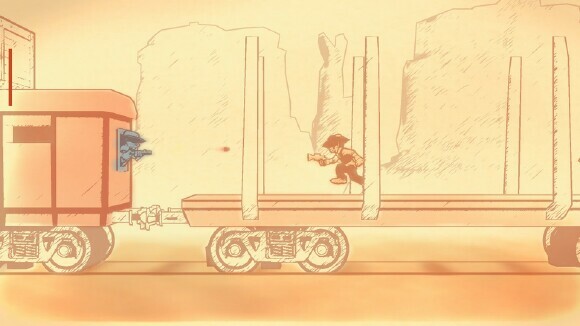 Gunman Clive is a 2D platformer that puts you in the role of Clive as he’s off to save the Mayor’s daughter from a group of outlaws. You’ll run, jump, duck and gun your way through 16 stages of bandits, bomb dropping ducks and other environmental hazards, with each stage ending in giant boss battle including a transforming train! Getting past the bosses is all about watching for their patterns and of course timing your attacks. Whilst you have your trusty single shooter as your default weapon, you’ll also find other weapons such as a triple shot, a rocket launcher and a homing gun. 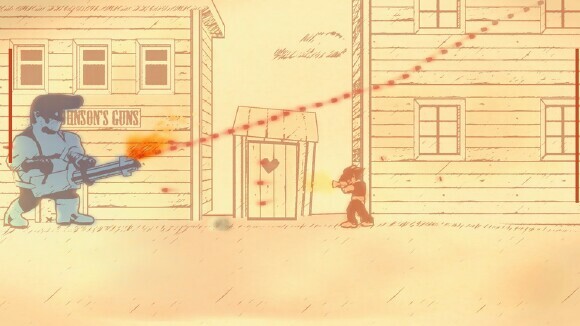 Gunman Clive uses very simple graphics with limited colors wrapped around a sketch, hand drawn, squiggly look, with a western heavy backdrop. With the added 3D effect, it gives the game some serious depth, totally immersing you into the game. The music also matches the setting, again very western in its approach and very fitting. The levels aren’t all that lengthy, but they do have checkpoints at various stages so you don’t have to retread much, especially after passing a difficult area. Plus lives are unlimited so you can keep playing to your heart's content. Finally there’s an autosave feature that saves pretty much anywhere in the game. 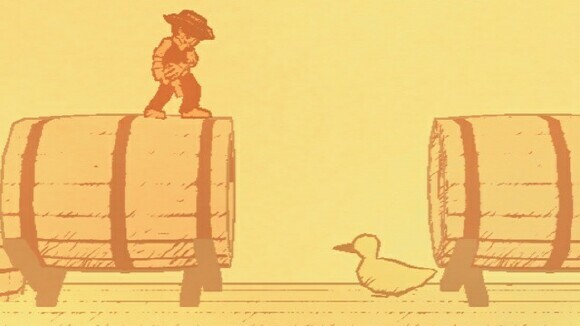 Once you've completed the game, you can replay the title again as either the Mayor’s daughter or even the duck that you see patrolling certain areas. That duck mode though… if you’re really looking for a challenge, then that’s the mode you’ll want to play. And the cost for all this goodness – 2 bucks. Can a game worth 2 bills really be all that great? Yes it can! 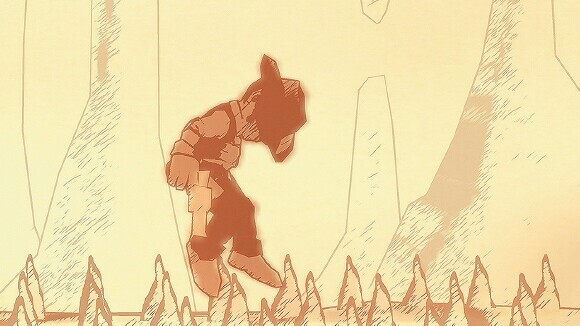 Gunman Clive is one of the best little titles I’ve played this year. I’m gaga over platformers and if you enjoy games such as Mega Man, then you’ll feel right at home here (no stage select though). Controls are fluid, very responsive and easy to get into since you’re only using two buttons (Y for shooting and B for jumping). Graphically, while the appearance is very simply, it still looks damn good and the beauty is bumped when you turn up the 3D – it’s gorgeous to look at! 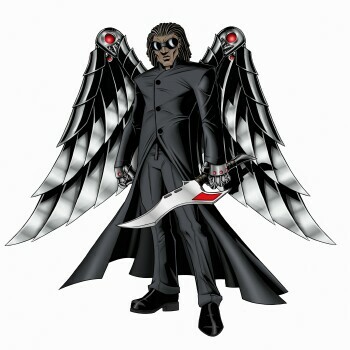 The animations on the characters are fluid and they animate beautifully. Finally the music is this game is a treat for the ears as you’re given a nice western guitar riffs with a taste of Middle Eastern; honestly, I think they blend quite well. So for two bucks, it might not appear that you get a whole lot, but truth be told, you get a whole lotta bang for your buck(s). I had one screaming issue, which I honestly had to look up to solve. It’s with these mushrooms that when you jump on them are supposed to soar you higher. That’s usually the case when dealing with such an obstacle, however there is a specific way you have to jump in order to get that extra air and it doesn’t help that they’re usually placed over an area of certain death should you miss. 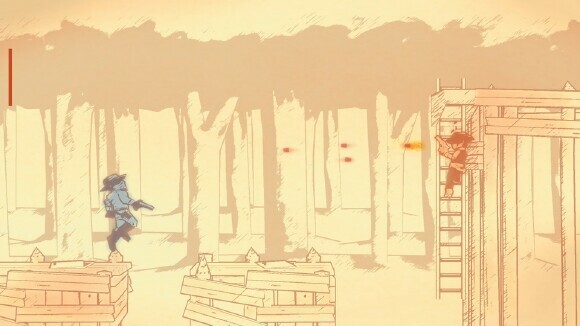 In order to get past these mushrooms, you’ll have to be quick with your timing; watch Clive’s gun as you make the jump onto the mushroom, and when the gun starts to point down, you quickly hit jump again for lift off. Since there’s no time limit, you can give it a few practice bounces in order to get the timing of the jump right. 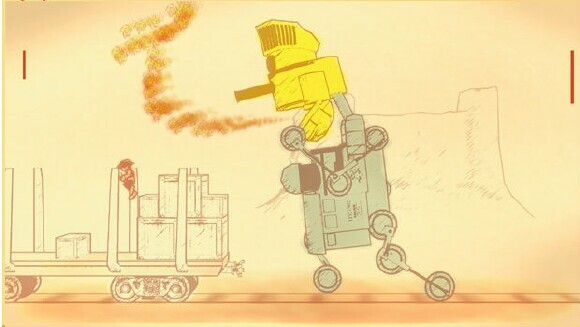 Gunman Clive is available now and not only for the 3DS but also for PC, Android and iOS devices. Though the ride was a short one, the awesome controls, simple yet gorgeous graphics and an amazing soundtrack, makes this title worth the trip. 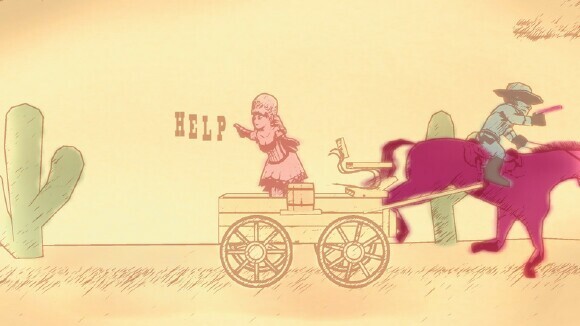 And out of TOV 5 stars, Gunman Clive gets a 4.5.